The widespread acceptance and competent performance of many minimally invasive procedures used in the field of bronchology and interventional pulmonology result from years of dedicated clinical service and unselfish sharing of knowledge at the national or regional level. 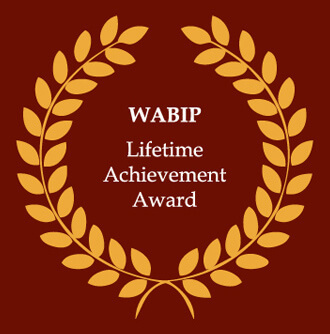 The WABIP Lifetime Achievement Award is designed to acknowledge those who made considerable contributions to the clinical practice of bronchology and interventional pulmonology in their respective regions, but have retired from active clinical practice and have not been otherwise recognized for leadership service in our international association. The award recipient must be retired from active clinical practice. The award recipient must have had a well-established national or regionally-recognized patient care practice including referrals for interventional pulmonology services. The award recipient must have trained other physicians or surgeons in interventional procedures and related disease management. The award recipient must be or have been a leader in his/her own country and/or region. The award recipient must not have received the WABIP-Dumon Award and/or the Killian Medal. The award recipient should have practiced interventional pulmonology for at least 30 years since training. The award recipient should be an advocate for interventional pulmonology. The award recipient should have introduced or helped develop interventional techniques. The award recipient may not necessarily be a WABIP member. The Awards committee may select award recipients from outside the pool of nominees offered by the general WABIP membership. One or more WABIP Lifetime Achievement Awards may be presented at the biennial World Congress for Bronchology and Interventional Pulmonology (WCBIP).